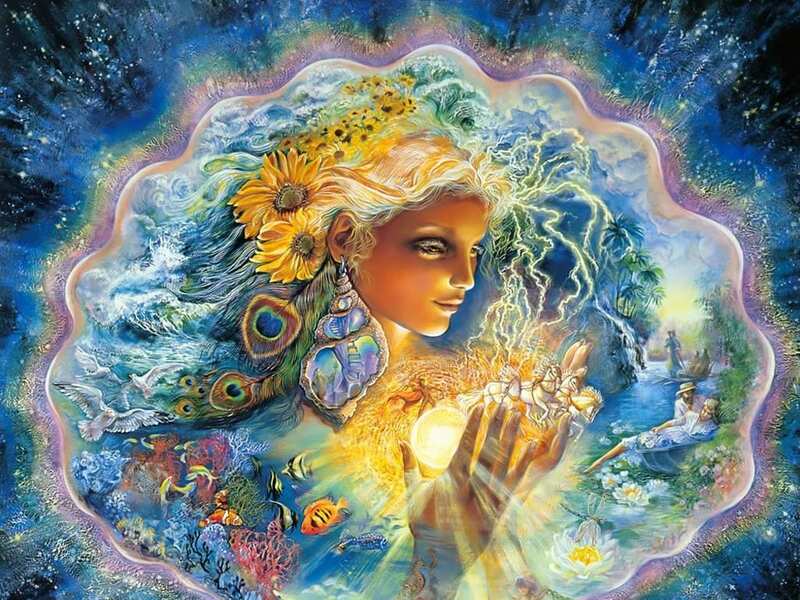 In these times the Divine Feminine is pouring through healing, transforming, and awakening everyone on our planet. Correcting the patriarchal balance, she is streaming in to be known, felt, and embodied by all. Perhaps you, too, have felt the call to come into Sacred Relationship with the Divine Feminine — for yourself, with others, and in your relationship to Mother Earth. How has she been showing up in your life? Has it been through upheaval and change, awakening, or as healing? The Divine Feminine has many faces and facets. Sometimes she shows up as Destroyer, breaking apart structures that no longer serve you. Other times she shows up as Mother, Nurturer, Protector, and Guide. Regardless of how she shows up, she is always a breath away: close, accessible, and available if you choose to seek her. Who and what is the Divine Feminine? What kinds of relationships can we expect to have with her? What are some of her faces and how can we recognize her? What are some ways you can invite her into your life to connect, work with, and cultivate your personal Sacred Relationship with her? Please bring any pictures or objects that represent the Divine Feminine for you. INVESTMENT: $50. Sliding scale down to $25 if you need it.